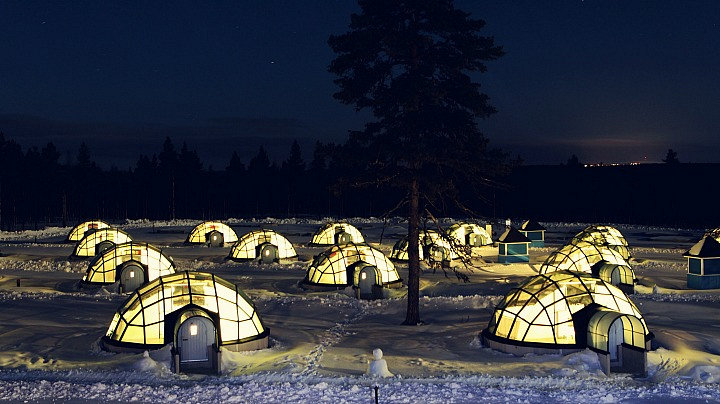 Believe it or not, these glass domes are hotel rooms! Tucked away in the stunning Finnish wilderness, The Kakslauttanen Arctic Resort offers a very unique experience. Putting up with freezing temperatures and going off the grid to get there is well worth it; the view from the "igloos" exposes you to one of the world's most beautiful natural sites. Each heated igloo features beds that can be converted to reclining, cinema-style loungers, which is perfect for viewing the Northern Lights dancing across the sky.